The 5000 Series wall switch is a practical low voltage switch solution. Its attractive design, medium-sized buttons, and screwless cover makes it an appealing choice for a variety of applications. The 5000 Series is also a direct replacement for the original Touch-Plate ’50 Series. 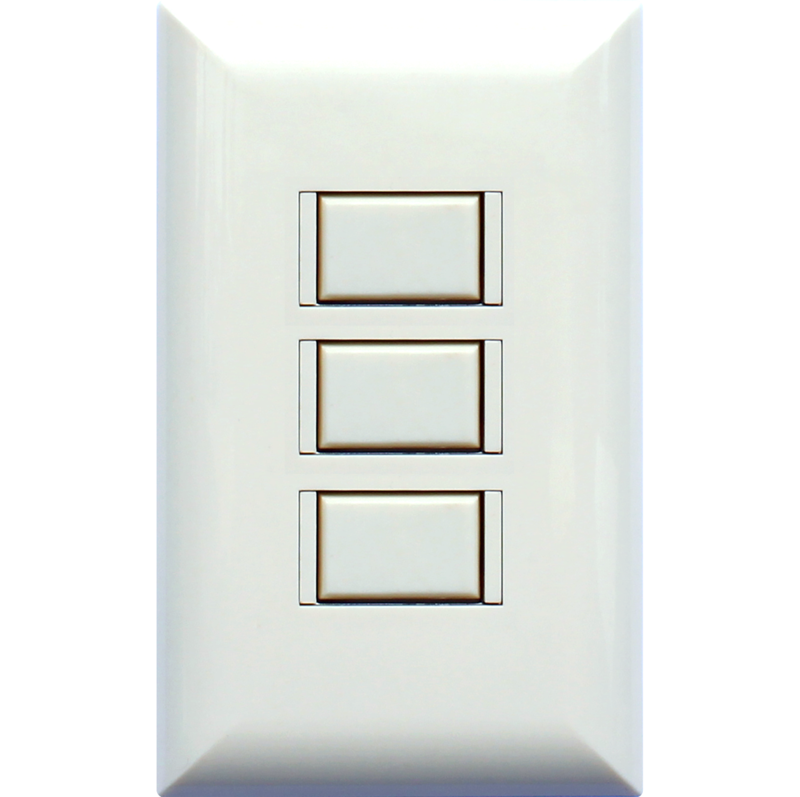 Available in 1, 2, and 3 button configurations without LEDs. All configurations fit a standard 1-gang mount.